Because we can use all the help we can get. Latinxs have plenty of traditions for ringing in the new year to ensure luck on their side. Whether it's eating lentils for money, wearing red underwear for love, or circling the block with a suitcase at midnight for travel, we'll try it all. 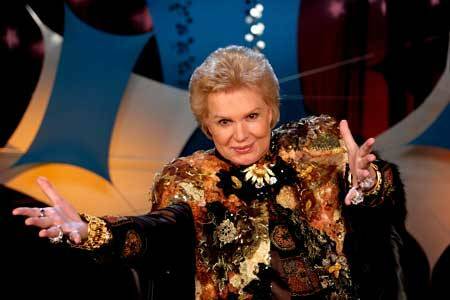 And if there's one astrologer we trust with our future on such an important day, it's the one and only Walter Mercado, who we grew up watching on Univision. "For this year’s end, dress in red, which is your lucky color," Mercado said. The lucky stones you should carry for good health are jade and carnelian. "Dress in green and carry with you an emerald or some jade and something made of copper, which is your lucky metal," the astrologer shared. "For the year’s end, wear yellow or gold, which is your color for luck and attracting money," Mercado said. He also recommended carrying "a citrine stone as an amulet for good health." Two staple colors will be essential. "Wear white to attract to yourself everything that is positive, and carry something black to bury everything that was negative in the past," Mercado shared. The astrologer also recommended that you wear silver jewelry for love "perhaps in the shape of a half moon because the moon is your regent." "Orange is your lucky color, so you must wear it to usher in the new year," Mercado said. Gold jewelry is also a must, which is this sign's metal of choice. "Dress in white or cream, and have a lot of fun," Mercado recommended. Carrying "rose colored quartz, which is your luck stone," is also a good idea. A quick run to the mall is in order. Mercado wants you to step into the new year "with new clothes, preferably pink, or you can carry a piece of rose colored quartz or an Opal." Black and white are your colors. Mercado also recommends carrying an obsidian or topaz stone for good luck and health, and "wrap yourself in the magic of saying goodbye to one year and welcoming everything new that is about to happen in your life." "It is imperative that you greet the new year dressed in blue and red," Mercado said. You should also carry turquoise, your sign's lucky stone. "Dress in bronze or brown and carry something red," Mercado said. He also wants you to treat yourself to "an onyx or garnet stone for prosperity." "Dress in something violet, combined with something silvery," Mercado recommended. Carrying amethyst "will help you attract true love and free you from all past negatives." "Wear something light blue or lilac, which are the colors that represent spirituality," is Mercado's advice. "For good luck, health and love, carry something from the sea, like a pearl, coral or a shell." We wish you an amazing 2018 pero sobre todo, as Mercado would say, mucho, mucho, mucho... amor! Get Mercado's full lowdown for your sign, including cleansing rituals, over at the Miami Herald.